Keep your newly purchased Honda vehicle maintained with this GREAT PACKAGE. 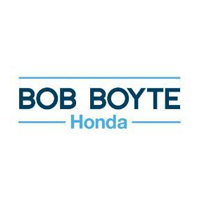 Included with every service visit, Bob Boyte Honda’s certified technicians will complete a 30-point inspection of your vehicle each time you visit our service department, to ensure that your Honda remains safe and reliable. With each service visit, one of our trained techs will inspect your battery to ensure that your battery is operating correctly within Honda’s guideline’s. Nitrogen has been proven to help increase the life of your tires since it is a dry gas, not wet like Oxygen, which deteriorates the rubber. Nitrogen has also been proven to increase the life of your tires by as much as 50%. Although your Honda is built with top quality materials, should there ever be a need to have your Honda towed to our dealership for repairs, American Honda offers towing to local dealerships on New & Certified Preowned during the Limited Warranty period. Simply call 1-866-864-5211 for assistance. Bring your vehicle into our service department for regular maintenance items, and we’ll give you 10% off of our regular prices. Purchase any parts or accessories from our parts department for your vehicle, and receive 10% off of our regular prices. Within the first 90-days of ownership, simply bring your new Honda into our service department for your complimentary Pit Stop. We’ll visually inspect your new Honda, making sure everything is performing properly, plus we’ll top off all fluid levels and wash & vacuum your new Honda. While visiting our dealership, you can enjoy fresh hot coffee throughout the day, as well as bottled water and fresh baked cookies. While your Honda is being serviced, should you need a car to go about your daily life or just to ran an errand, Bob Boyte Honda offers loaner vehicles when available; check with your service advisor for availability. Restrictions apply, based on availability. Need a ride to & from work or home as your Honda is being serviced, Bob Boyte Honda offers complimentary shuttle service within the metro area. Just let your service advisor know and he or she will arrange it. Can’t get by during regular service hours to drop your Honda off for service, take advantage of our Early Bird Drop Off service. Once your car is ready, we’ll contact you for pickup at your convenience.